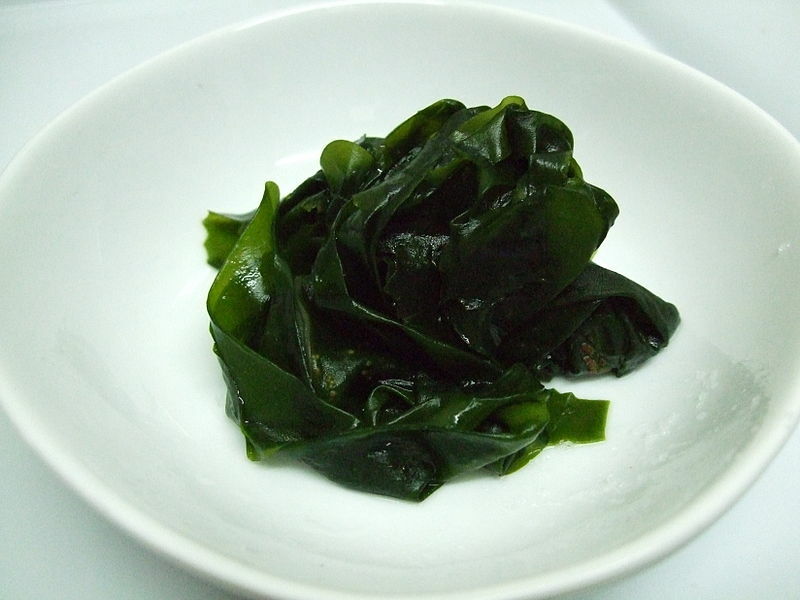 This week, U is for Undaria pinnatifida otherwise known as the Wakame or the Japanese kelp. As its common name suggests, this species is originally from the west coast of Japan as well as north-eastern China and south-eastern Russia. This species is welcome in these areas as it has a commercial species as it is edible. U. pinnatifida was first found in the Humble Estuary in the Solent, Hampshire on the 15th of June 1994. As it was so recently introduced, we have a full chronology of its spread and there have been plenty of studies on the seaweed so a lot is known. U. pinnatifida is a marine brown alga that grows on hard substrates and reaches up to 3m in length. In Japan, it can be found up to 15m below the surface of the ocean, in the areas it has invaded it can grow down to 18m deep. Its first record outside the native range was on the French Mediterranean coast probably via imported spat of Pacific oysters (Crassostrea gigas). From here it was intentionally transferred to three sites in Brittany in 1983 for farming, and more sites were tested thereafter (including Ireland, but these plans were rejected). In 1987 reproducing individuals were found on mussel lines and natural recruitment was observed in St. Malo and in the Rance estuary. In northern Spain it was reported from Ria Ariosa in 1990, later it was found along northeast Spain and down to the Portuguese border and into Portuguese estuaries. After introducting into the UK, U. pinnatifida spread to the Channel Islands. In 1999 the species was reported from Zeebrugge, Belgium and in the Netherlands (near Yerseke and near Strijenham). It is thought that they spread naturally on coasts and may also spread using ship hulls. As you may have noticed, all of these findings are the northernmost in Europe. Records from the Mediterranean Sea are sporadic, although it is found there such as in the Venice lagoon. This means some factor may be reducing its spread in these areas or that it will easily spread into these areas in time. This species is still classed as spreading by all the major ecological classifications. 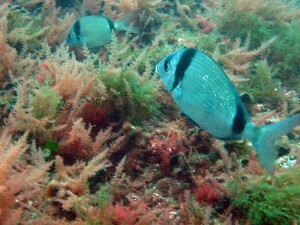 its extensive vertical distribution, from low tide level down to 18 m in suitably clear waters. U. pinnatifida does have a detrimental effect on local populations of seaweeds and it prefers to grow on artificial substrates and due to its fouling behaviour, frequent cleaning of aquaculture equipment and boats is required, costing time and money. In the Netherlands it grows mainly on Crassostrea gigas, but also on mussel species. Being slippery, it causes problems for fishermen harvesting oysters. During mass developments further detrimental impacts may occur, which may impair aquaculture harvests. For these reasons, a number of plans have been proposed to eradicate this species. To prevent more spreading, it has been proposed that the hulls of ships should only be cleaned out of the water and detached organisms should be disposed out of the near vicinity of the sea. U. pinnatifida should also not be used as a display organism in public aquaria. Even if the water is treated, a risk remains that fertile parts may reach the sea. Scientific experiments within field conditions should not be undertaken where the alga has not yet been found. One problem with eradication efforts is that the microscopic gametophytes are very tolerant and not visible to the naked eye. In several cases, attempts at manual eradications were unsuccessful or showed a limited efficacy so more drastic measures may need to be taken. There has been scientific trials with herbicides and antifouling paints showed that some toxins are efficient at preventing zoospore germination or at causing gametophyte mortality, but herbicides should only be used as a last resort (if at all in some peoples opinion). 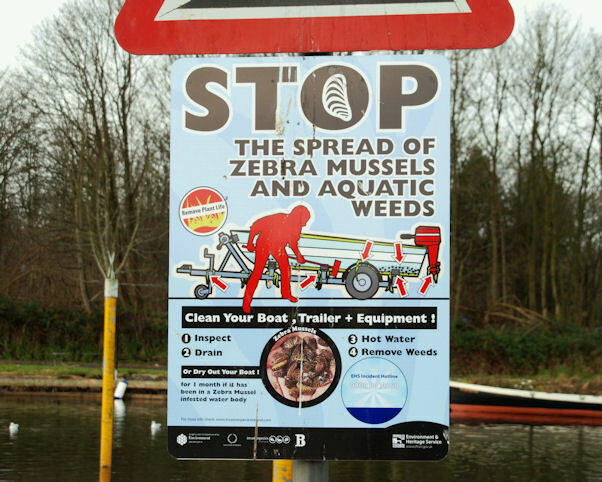 In the UK, there has been plans to remove all subsequently occurring plants from the marina pontoons in the Humble. However, this is thought unlikely to eradicate the species or halt its local spread. The species is on the watch list by many different organisations and even governments. If you see it in any other place then the Humble, please report it to any monitoring organisation, such as the JNCC or the MMO. 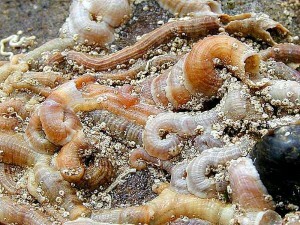 A. armata was introduced into Europe by the importation of oysters. The harpoon weed was first detected in Algeria, 1923 and probably spread to Britain via rafting or floating. 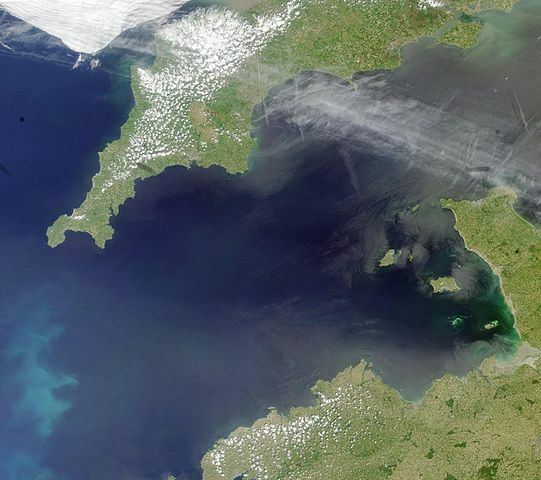 Here in the UK, the weed was first recorded in 1949 in the Bristol Channel, on the island of Lundy in the asexual phase.